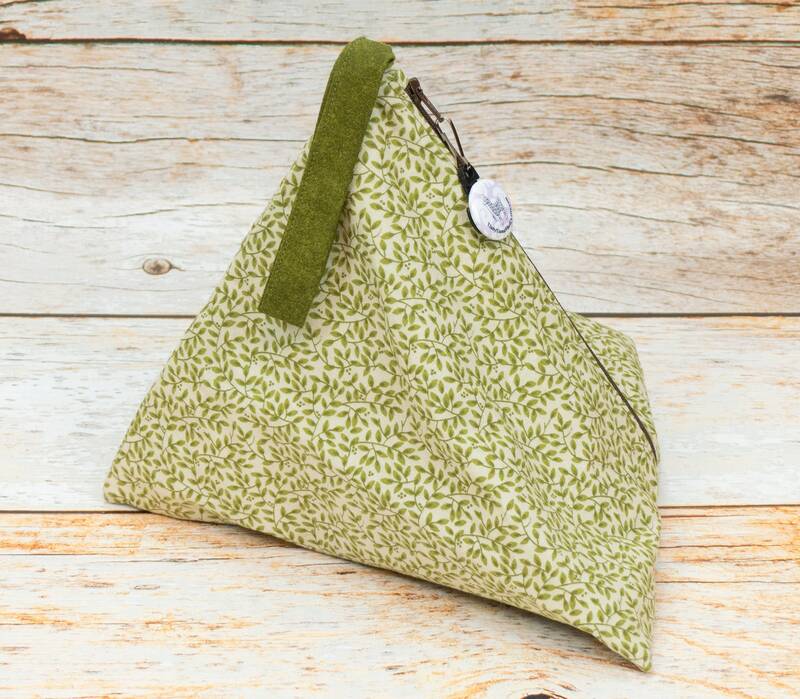 Our new Llexical Sock Pouch is perfect for sock knitters! 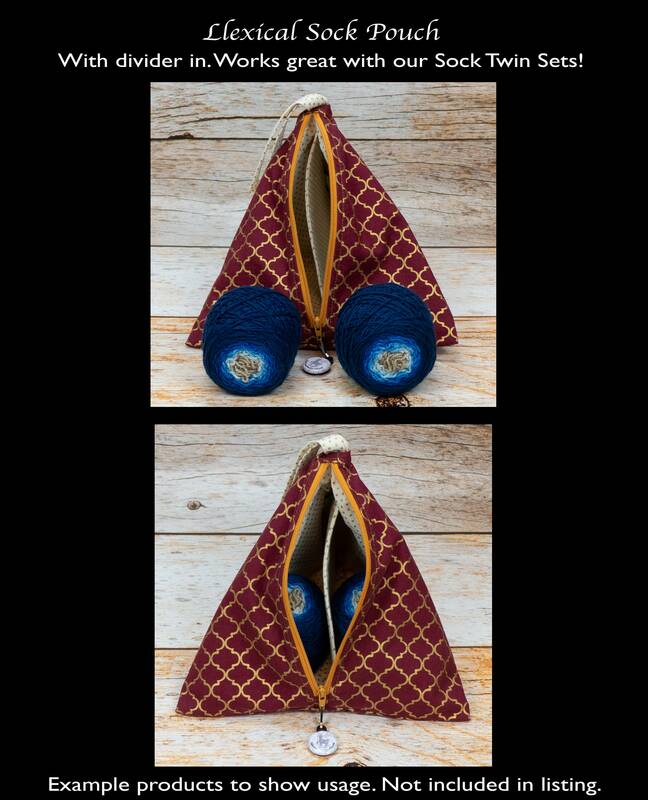 The same great quality as our Notion Pouches but in a larger size with a removable snap-in divider that creates a neatly organized space for your sock or mitt project. 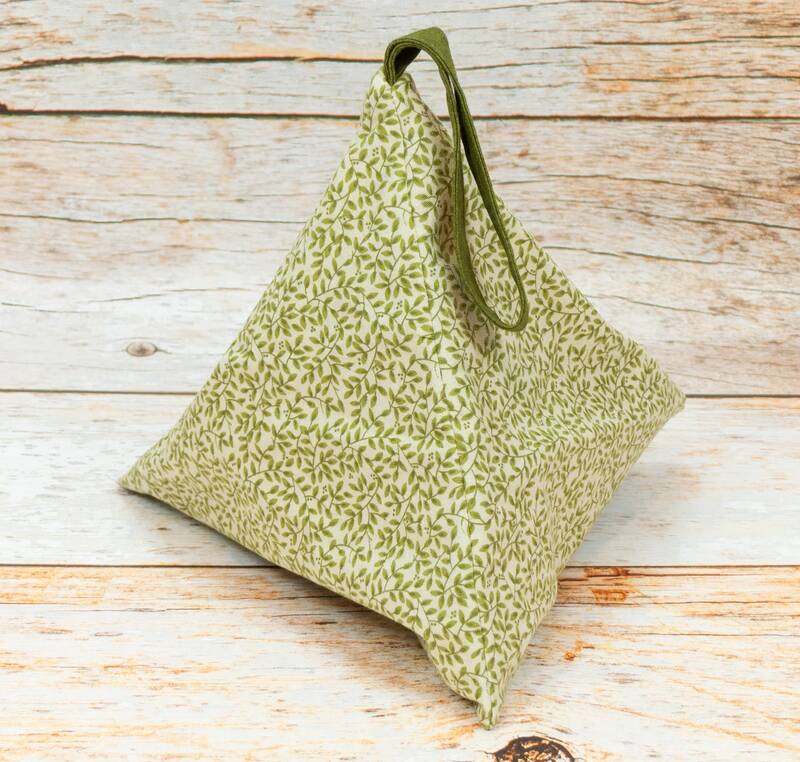 Also has a longer and wider top loop for those who enjoy knitting while walking. 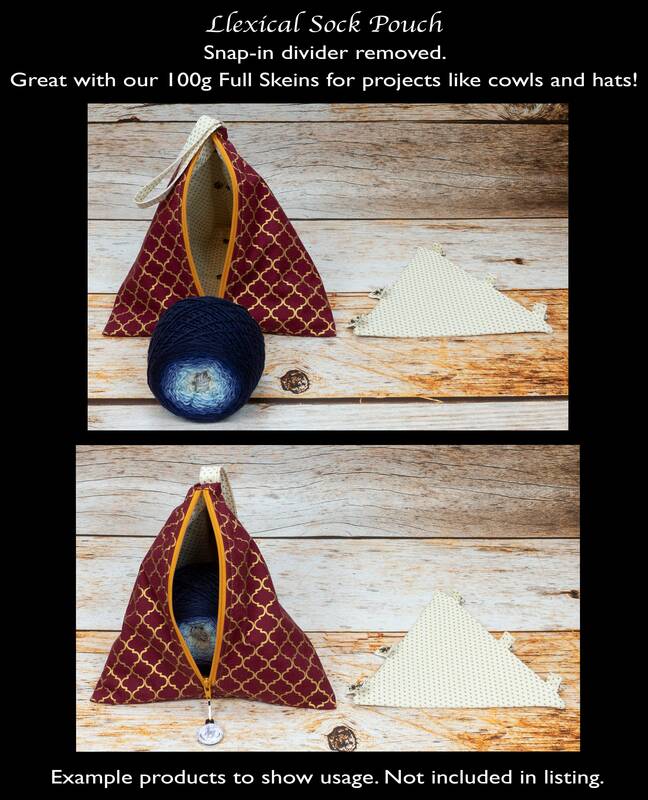 Remove the divider to utilize the interior space for larger single-item projects like hats and cowls. 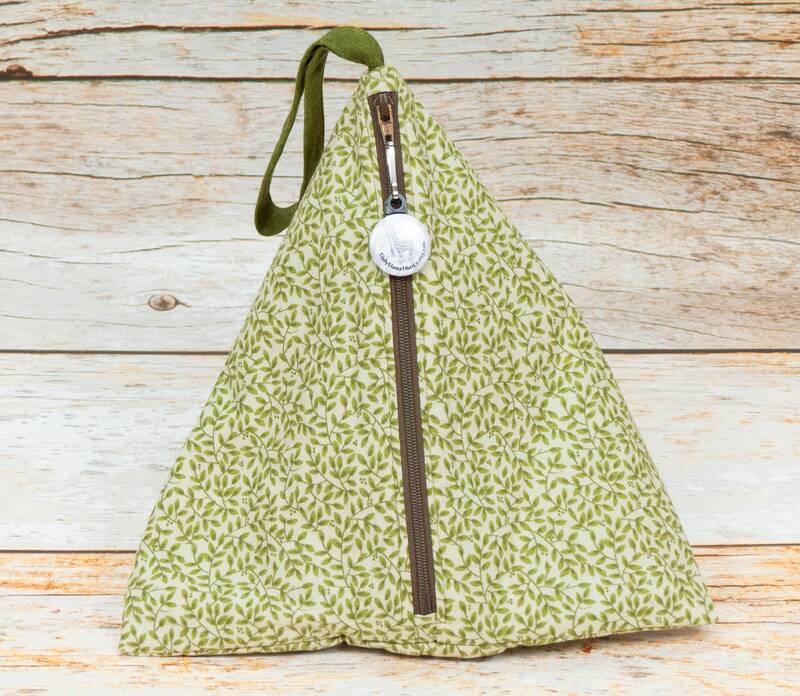 This pouch is large enough to comfortably accommodate two 50g balls or one 100g ball of yarn with needles, your stitch markers, darning needle, a folded pattern and/or other small crafting notions. 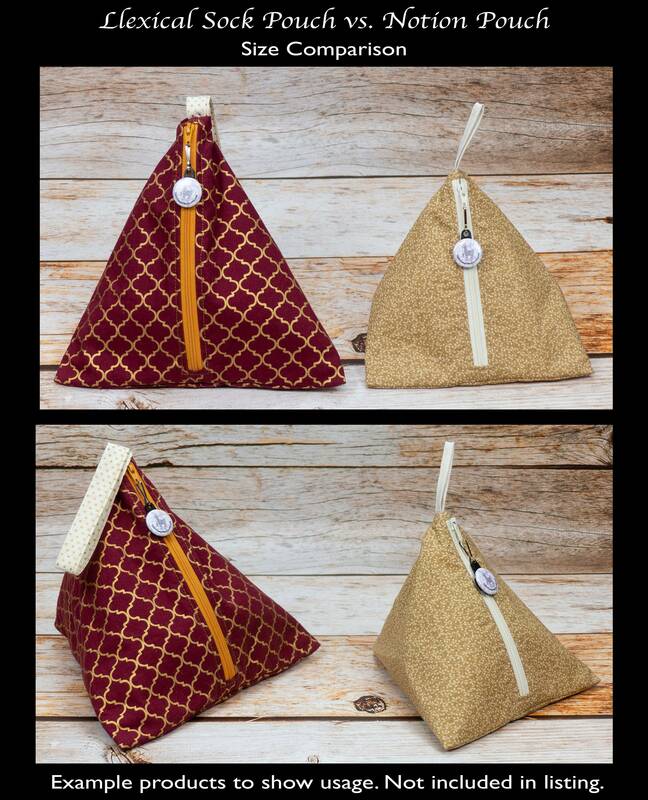 Works wonderfully with our Sock Twin Sets! *Interfacing reinforced removable divider with 10 hand sewn metal snaps. 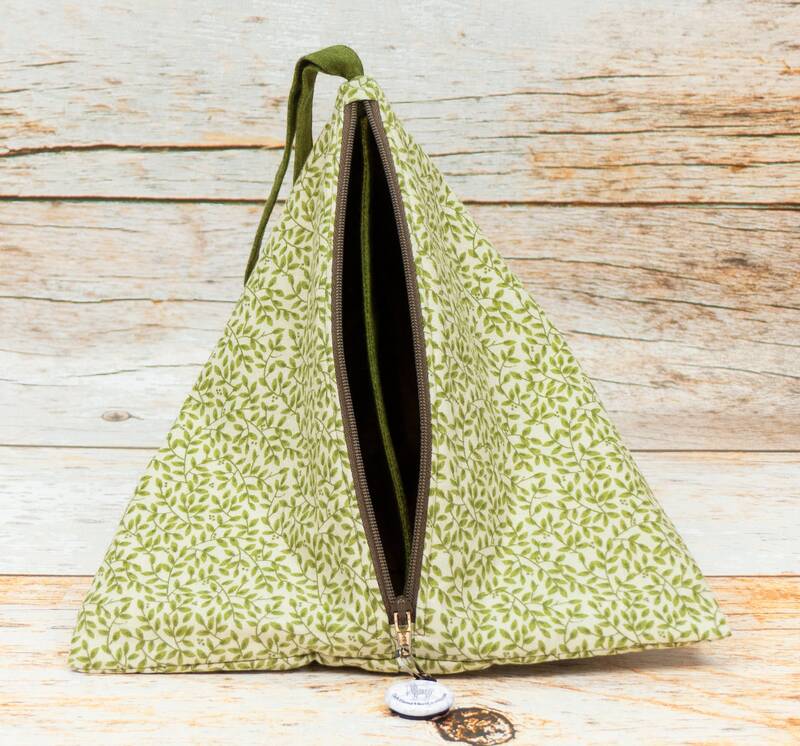 *Top loop for wearing on the wrist, hanging or securing into a larger bag.